Microsoft has launched exclusive Ramadan offer for the users of Nokia Lumia and Nokia X range. Now, users can attain divine blessings utilizing their smartphones with Ramadan apps.The apps can be downloaded from Windows Phone Store to Lumia phones or Nokia stores on Nokia X range of devices. The announcement comes at the right time when Muslims all over the world and Pakistan are devotedly observing the holy month of Ramadan. Kamran Masood Niazi, Microsoft’s Communications Manager while Commenting on this announcement, said khat the holy month of Ramadan is a month of devotion towards Allah. 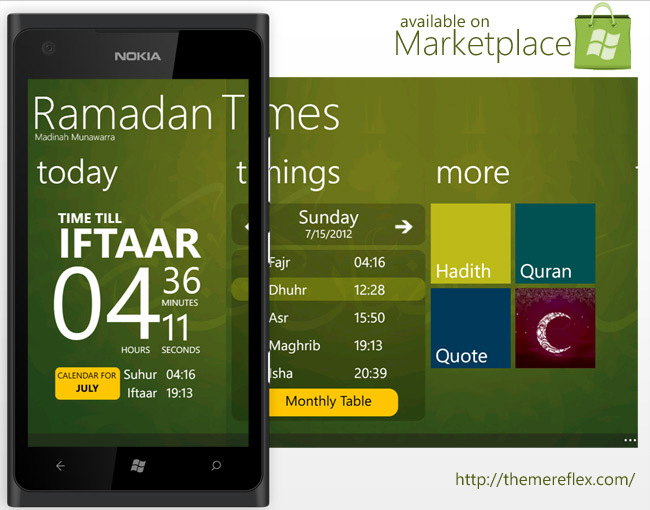 Microsoft, Keeping in view the sanctity of Ramadan, brings Ramadan Kareem apps for Windows Phone and also Nokia X devices.These apps offer to recite and listen the Quran by renowned Qaris of the world. You can alsoread Ahadith, Ramadan special duas and azkaar and can also share them. Microsoft give you the opportunity to listen to famous reciters like Al-Sudais and Al-Gamy. Apps like Athan+ and Missed Prayers help you to track location based namaz timings and check onmissed prayers.